The Jews and the Samaritans were living in opposition and hatred towards each other. This tension was a mix of religious, social, and territorial anger and disdain for one another. This contempt and social shunning escalated into what would be considered discrimination and hate crimes today. Giving place to the devil is allowing anger to bubble and stew inside of us. This process permits our flesh to take hold of the situation, allowing a root of bitterness to take root in our heart and grow upwards to encircle our thought process and mouths. This root entangles us in sinful reactions and choices not becoming to our walk with Christ. Discrimination, or judgment of another or group, has been dividing people against one another by intimidation, silence, verbal jabs, physical injury or even death for many centuries. “Hot button issues” such as social stature, jobs, beliefs, age, race, color, are contentious issues pouring angry fuel on the fire amongst opposing people and groups. Today many people might insist discrimination is a new-fangled social threat or a political correct offense trampling and knocking down “victims” everywhere. How easy it is to be a “victim” in this lawyer driven victim’s rights society but this label of Discrimination is highly overrated. Society is littered about with cases of individual rights and political correctness. News reports often detail high profile discrimination cases where the victim has been pushed to the breaking point, or has been brought to the brink of despair because of another individual or group of people who has severely mistreated them in some way. 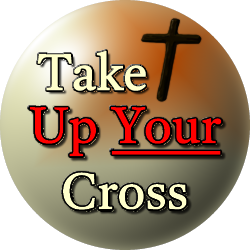 Praise the Lord Jesus Christ did not pull out the “victim” pass claiming mistreatment and abuse instead of dying on the cross two thousand years ago for your sins and mine. Social judgments issued by people, government leaders, groups, or other discriminatory settings do not line up with the Truth of God’s Word. God alone stands in judgment of man and man looks to God for leading and truth. God’s Word has absolute standards and authority for spiritual living and encouragement and hope and calling for longsuffering for those living in God’s will that are oppressed and mistreated in society. Discrimination, disagreements, disdain, anger, and the like were ushered into this world when the door to the garden was opened, allowing sin to enter into the Garden of Eden. Jesus Christ later came in the flesh to close this door. He was able to serve His Father’s will upon the cross because He had hope and peace in the present, while praying in the Garden of Gethsemane, hanging upon the cross, and in His future sitting at the right hand of His Father. All men can find this same hope and encouragement if they are willing to sacrifice themselves, being obedient living for Christ. To get to the heart of this discrimination issue, one must first recognize all men have been created in the image of God. All persons came from God through Adam and Eve whose descendants were Cain, able and Seth who carried on God’s will producing in His image until the time of the flood. After the flood Noah and his wife continued procreating in God’s image and begot Ham (Babylon, Egypt, Africa, Syria bloodlines), Shem (Jews and Arab bloodlines), and Japeth (Europe, Russia, Iran, Iraq bloodlines) and accordingly descendants were brought forward over the centuries unto the present time. There is only one race- the human race. Africans, Indians, Arabs, Chinese, Japanese, various tribes and so forth are not different races of people but different ethnicities within one human race, of which God is the head and authority. If it were possible to trace all family trees, person by person, backward through all history all would point exclusively to Adam and Eve as the “original” parents. God first divided His one human race into two distinct groups, Jews, who were His chosen people and Gentiles who later He grafted into His fold. The population was later further subdivided into many other ethnicities according to language. This division took place at The Tower of Babel. God chose to confuse all languages, sending these people out and spreading these different language groups and ethnicities throughout the world to bring glory to Him and further His will. Scripturally, all are created in the image of God and equal in standing. This truth immediately takes the fuel away from any perceived race differences or any inequality arguments because all men stand upon equal footing with God both on this earth and in final judgment in eternity. God’s judgment will be impartial and without respect to who anyone is as an individual, whether they are Jews or Gentiles. God will judge all according to the truths of scripture rather than heritage, tradition or upbringing. Each man is a reflection of Jesus Christ and knowledge of God is written upon each heart, whether they have chosen out of freewill to acknowledge Him or not. The following verse from the book of James outlines how two men were treated differently, or discriminated against, rather than treated humbly through the loving lens of God in the setting of an early church. A distinction is clearly made in these verses between a church visitor who is visibly rich and decked out in rich apparel and jewelry; versus another who is clothed in rags and apparently needy. Each man receives different responses from those who are attending this same gathering. The one decked out in rich apparel was given a choice seat towards the front of the assembly; while the poor man who wore rags was left to stand in the rear of the room which was not prime seating in the early church. Segregating these two men, who were at different ends of the social and economic spectrum, was akin to a silent judgment in accordance to their outward presentation and demeanor. As the Bible clearly states man tends to look upon the outward appearance of others but God looks at the heart. God’s answer or “holy prescription” to discrimination of any diversity or flavor rampant today is walking in the Spirit with Him in fervent love. If we are walking in love; we are not walking in hate or disdain of another. Hate and love are clearly opposite sides of the coin and different paths to walk. Either people have biblical love, one for another; or hate one another. God is a God of love and hate is not a part of His holy character. Living a life of authentic Christianity by the inflowing of His spirit and rich grace spiritually frees us, taking our burdens and chains of despair away so that we can practice His authentic love towards others. Authentic Christianity it can be a bright light shining amid many battles of racism and discrimination plaguing our world. Submitting to God in any situation bears witness to those around you. 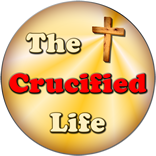 Jesus Christ left humanity with His perfect example of sacrifice by dying upon the cross. Through His wounds you have been healed. He was innocent, but was treated as an animal or common criminal. It was this unjust treatment of Him that continues to lead many to a personal saving relationship through Jesus, to God. Does this mean a child of God stands idly by while another individual or a group of people are being treated unjustly or turn away claiming ignorance of the persecution going on around them? No, this scenario would be prime time for the man or woman of God to lift up prayers, quote scripture, and comfort those who are being persecuted or offended in some way. Peace is on the opposite end of the spectrum from the characteristics of strife and contention. Those who truly cherish and love God’s Word will not harbor ill will and anger, nor act in a discriminatory way towards others, but will show fruits of God’s spirit living inside of them. Children of God there are many opportunities unfolding for us to show to others the character and love of Christ. It is time the children of God walk forward through the litter of scriptural and spiritual obliviousness and live wholly for Christ having their shield and sword up and readied for spiritual battles as outlined in Ephesians chapter 6 with scripture like honey flowing out of their mouths. Are you leading the life of a victim in society or walking in victory and spiritual harmony with Jesus Christ?